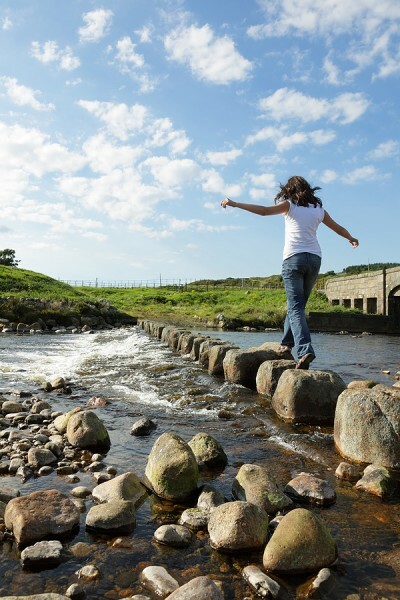 Is Outplacement your Stepping Stone? Outplacement is designed to be a “stepping stone” to a new job. However, outplacement can actually be both a blessing and a curse for the recently laid off employee. Outplacement firms work for your previous employer: Yes, the employer that just got rid of you. Your old boss is paying for the firm’s services to keep you quiet and happy – so you can’t sue or legally challenge them if your whole unemployment situation starts to seem unfair. From a liability standpoint, the forces around you are conspiring to keep you busy and keep you searching. Some firms are better than others: This is not to say that all outplacement firms are apathetic and vaguely evil. There are plenty of legitimate outplacement professionals that care for your well being and want to seriously help you. Just know that you should keep an eye on the amount of time you spend out of work. A slow drain on your status: As any recruiter or hiring manager will tell you, the longer you remain unemployed, the less desirable you become as a candidate. Your attractiveness as a potential hire is tied directly to your employment status (it’s a terrible system, we know), so the longer you flounder around in outplacement, the less valuable your seem to future employers. Now that’s unfair. If you’ve recently been laid off, outplacement services will attempt to get you motivated and engaged in job seeking. Just don’t put all your eggs in one basket. While some people experience great success with outplacement, you should first and foremost rely on yourself. In the end, it will be your own ambition, hard work, and motivation that will keep your head above water. Good luck!